Move in ready, completely updated 3 bedroom home with hardwood floors throughout. The kitchen features concrete countertops, fresh cabinets, and brand new appliances. New electrical, plumbing, and HVAC. Bathroom has all new fixtures and finishes as well. You'll love the built-ins under the stairs, in the pantry, and in the bathroom. Main floor laundry just off the kitchen. 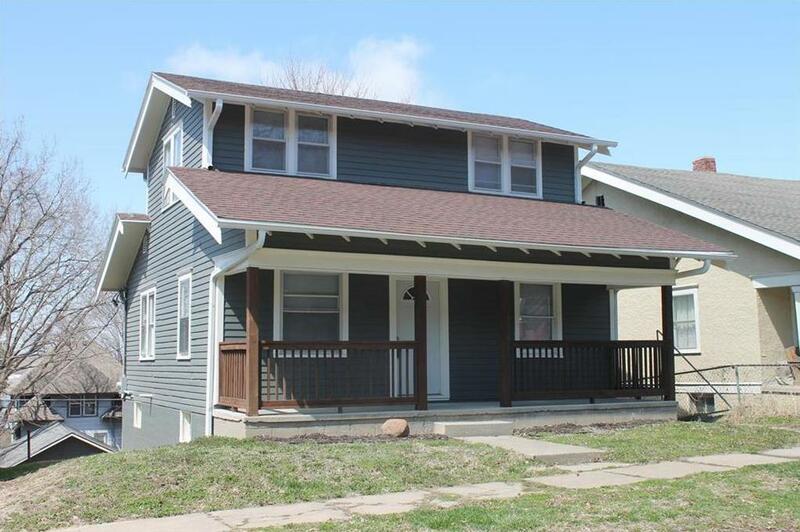 3824 Terrace Avenue (MLS #2144972) is a single family home located in St Joseph, MO. This single family home is 1,560 sqft and on a lot of 7,841 sqft (or 0.18 acres) with 3 bedrooms, 1 baths and is 103 years old. This property was listed on 01/21/2019 and has been priced for sale at $74,900. Nearby zip codes are 64501, 64503, 64505, 64507 and 66090. This property neighbors other cities such as Elwood and Wathena. Listing Last updated 04/08/2019 4:45 PM CDT . Some properties which appear for sale on this web site may subsequently have sold or may no longer be available. Walk Score provided by Walk Score. Mapping data provided by Google and Bing. The information displayed on this page is confidential, proprietary, and copyrighted information of Heartland Multiple Listing Service, Inc. ("Heartland MLS"). Copyright (2019), Heartland Multiple Listing Service, Inc. Heartland MLS and Berkshire Hathaway HomeServices Stein & Summers do not make any warranty or representation concerning the timeliness or accuracy of the information displayed herein. In consideration for the receipt of the information on this page, the recipient agrees to use the information solely for the private non-commercial purpose of identifying a property in which the recipient has a good faith interest in acquiring.